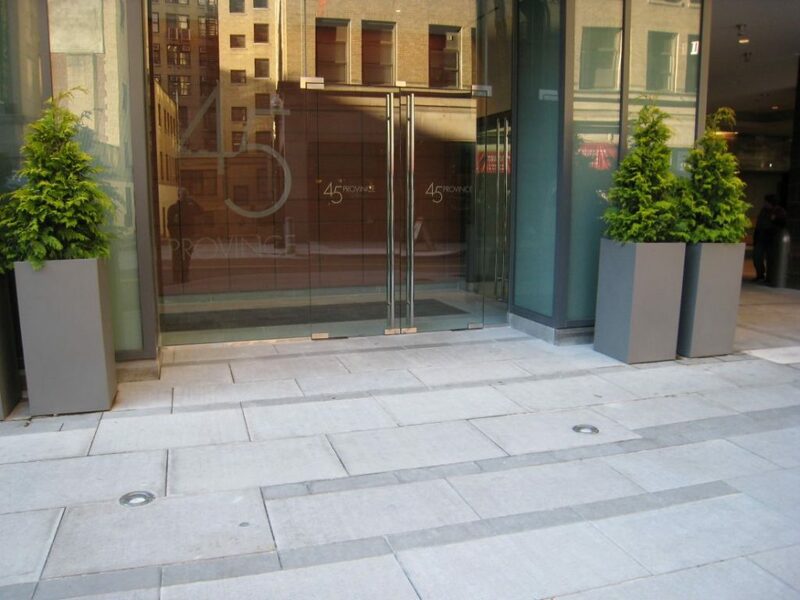 In the heart of downtown Boston, this building was designed by Bruner/Cott. 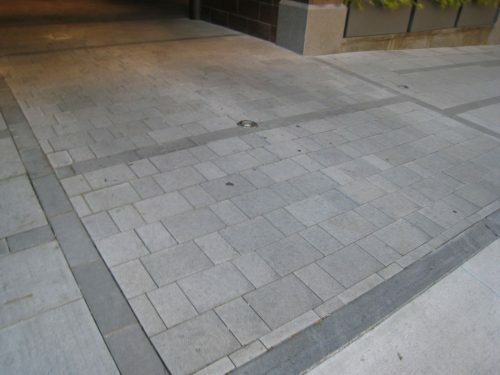 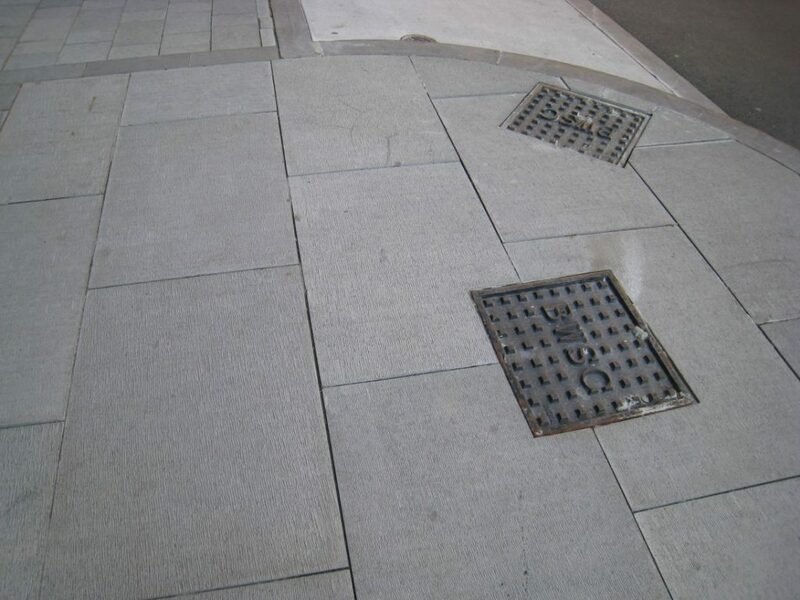 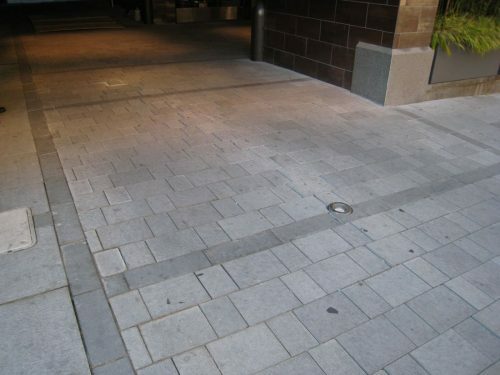 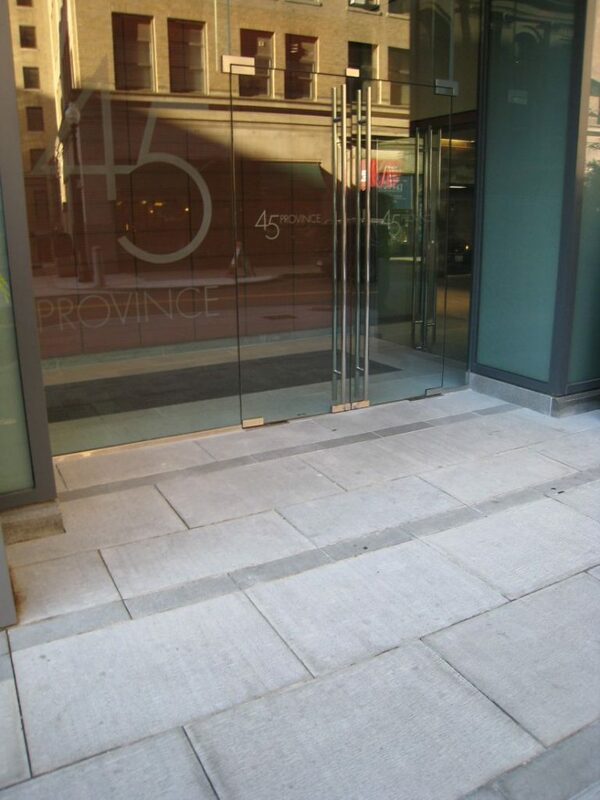 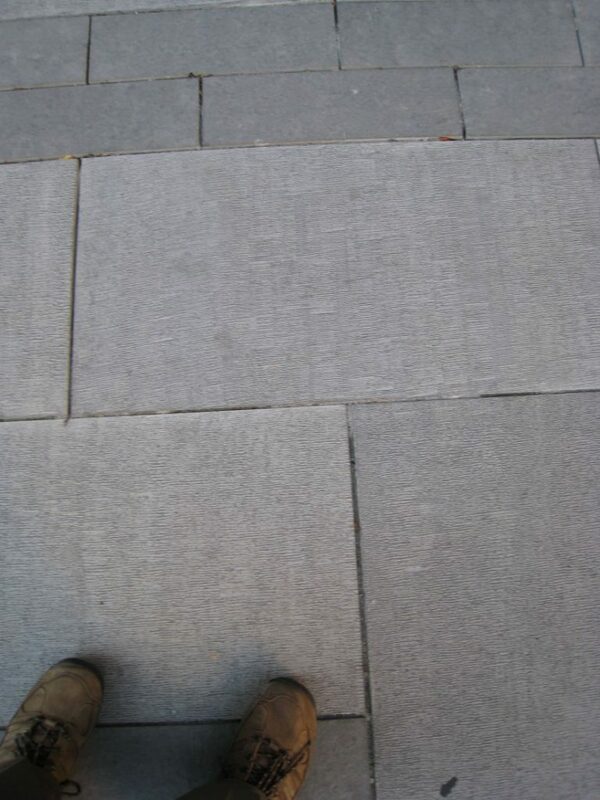 The paving is Waia Black Basalt in three different finishes: scarpoletto, flamed & brushed, and bush-hammered. 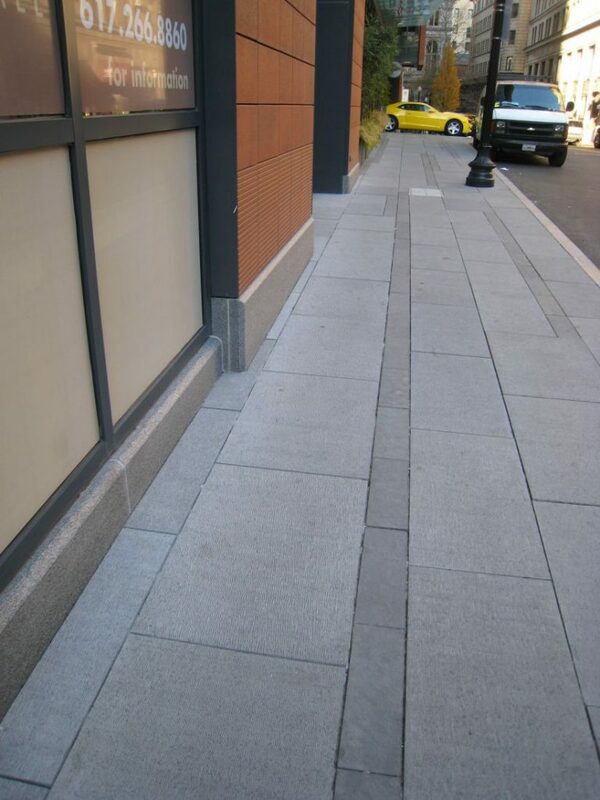 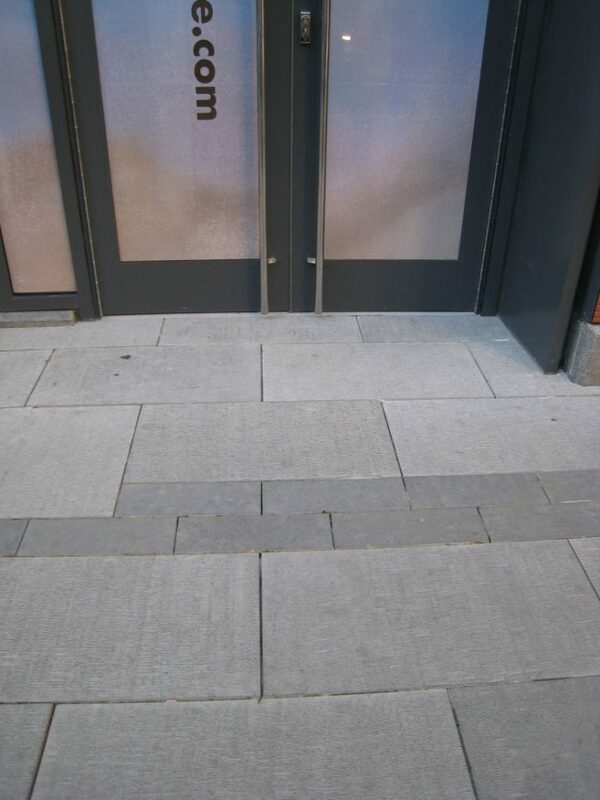 Basalt is a very durable paving material and different finishes create contrast and interest from what would otherwise be a pretty monolithic dark gray stone.